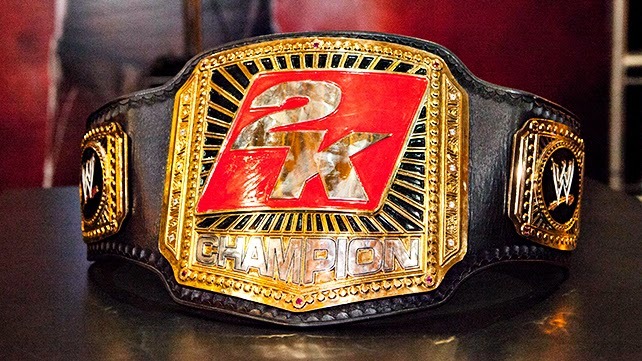 The folks at 2K is presenting a grand opportunity 2K to residents of the U.S.; the WWE 2K series creator has announced a Twitter-based WWE 2K15 contest for them to enter. The winners will earn a trip to WrestleMania 31 to compete in the 2K Tournament of Champions at WrestleMania Axxess, and will be coached by WWE’s own Dolph Ziggler, Paige, Sami Zayn or Xavier Woods. Selected winners will be flown out to WrestleMania 31 by 2K to participate in the tournament and meet the Superstar or Diva they will represent. The eventual winner of the 2K Tournament of Champions will then be crowned by 2K as WWE 2K15 Champ. ← John Cena to be inducted in Springfield College Athletic Hall of Fame!